This relief applies beginning Oct. 30, 2012 in New Jersey, New York, and Pennsylvania and will remain in effect through Nov. 20, 2012. 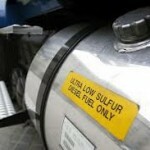 This penalty relief is available to any person that sells or uses dyed fuel for highway use. In the case of the operator of the vehicle in which the dyed fuel is used, the relief is available only if the operator or the person selling the fuel pays the tax of 24.4 cents per gallon that is normally applied to diesel fuel for on-road use. The IRS will not impose penalties for failure to make semimonthly deposits of this tax. IRS Publication 510, Excise Taxes, has information on the proper method for reporting and paying the tax. Ordinarily, dyed diesel fuel is not taxed, because it is sold for uses exempt from excise tax, such as to farmers for farming purposes, for home heating use and to local governments for buses. 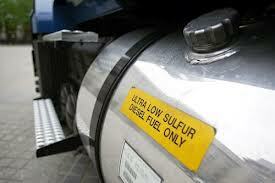 Finally, the Internal Revenue Service will not impose the tax penalty on a failure to meet the requirements of EPA highway diesel fuel sulfur content regulations if EPA has waived those requirements. The IRS is closely monitoring the situation and will provide additional relief as needed. This entry was posted in Hurricane Sandy and Tax Penalty Relief and tagged Business Tax Relief, Federal Tax Relief and Hurricane Sandy, Hurricane Sandy and Federal Taxes, IRS Releif for Hurricane Sandy, Tax Penalty Relief. Bookmark the permalink.